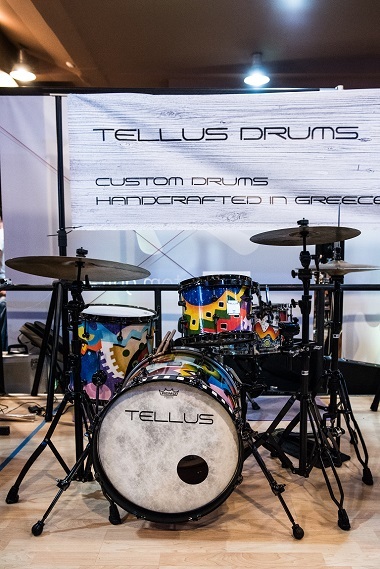 Tellus Drums is a custom drum manufacturing company located in Athens, Greece. 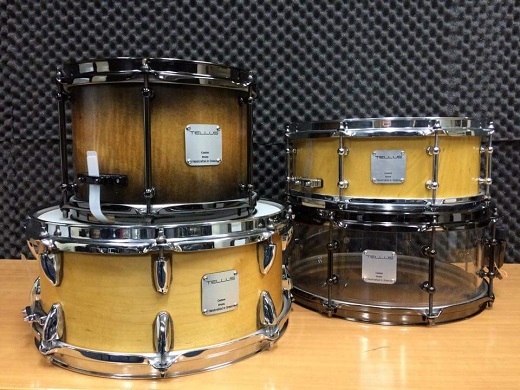 We offer a wide range of high-quality drums made from Grade A ply veneers. We are committed to providing you with the highest quality products and services at the right price. We offer free delivery to your location in the province of Attica. 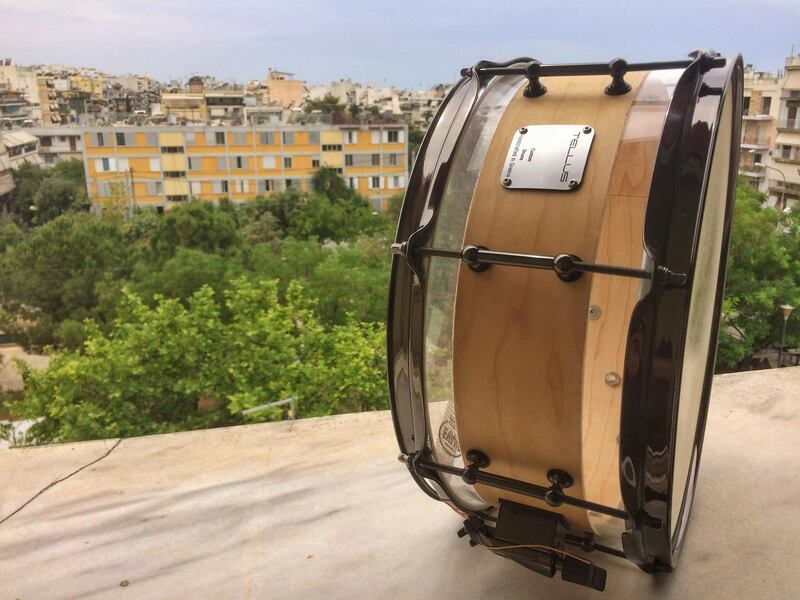 14X5 flat cut maple with birch. 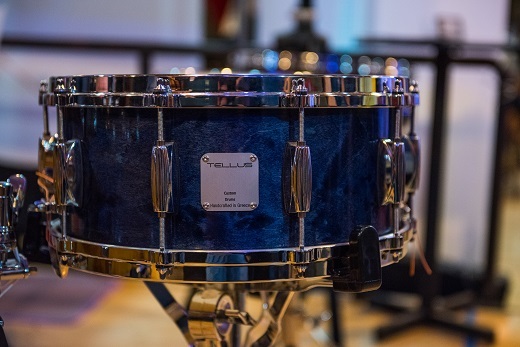 14X6.5 Birch and RCI acrylic snare drum. 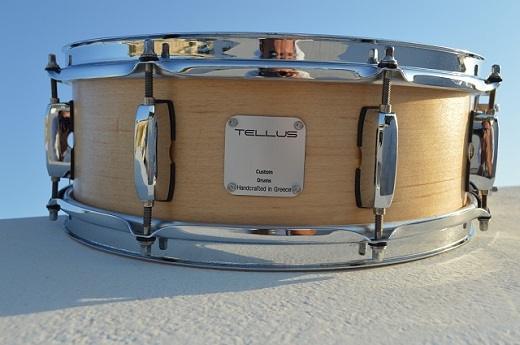 Here in Tellus Drums we use only Grade A veneers consisting mostly of Maple and Birch. 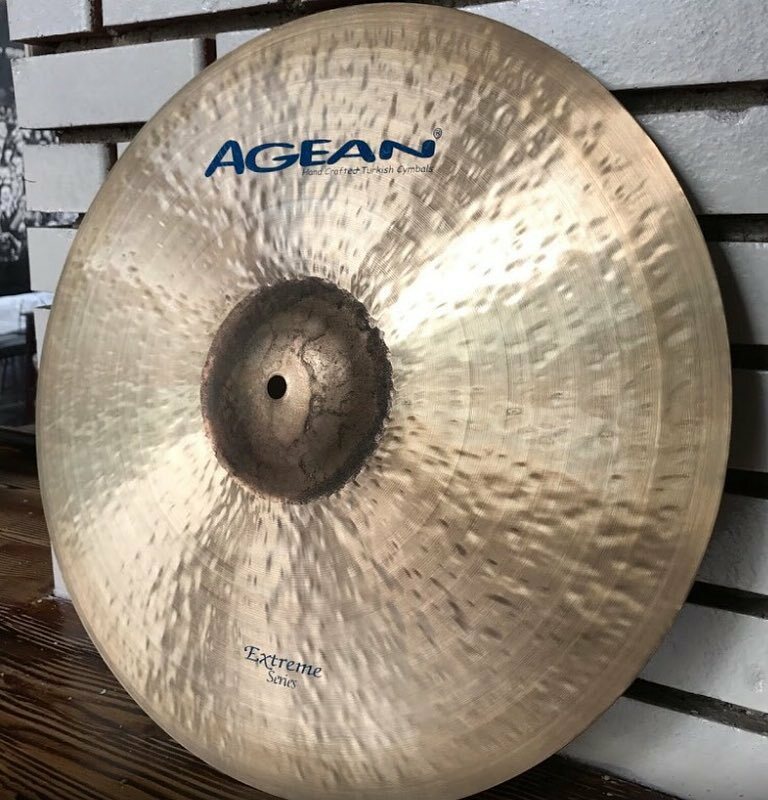 We can also offer Oak and African Mahogany or a mixture of all the above in one shell. 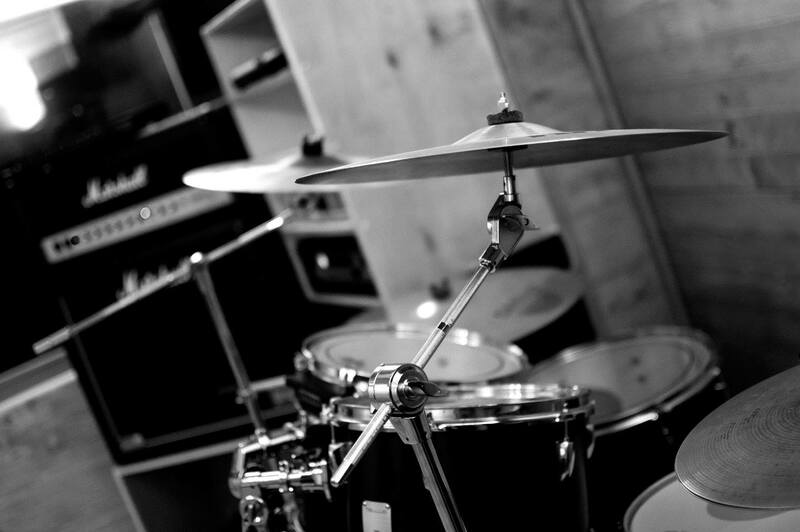 All drums are manufactured to match the customers favorites. 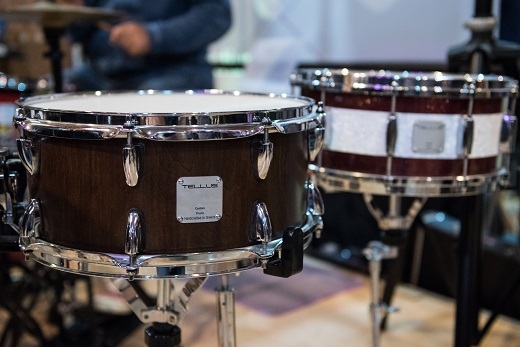 You can choose the veneer type, construction type ( number of plies, bearing edges, snare beds depth etc) as well as hardware fittings ( type of hoops, lugs, strainers etc) and finally the color and finish of the drum. We offer a big variety of stain and colors and also high gloss, semi-gloss or satin finishes. 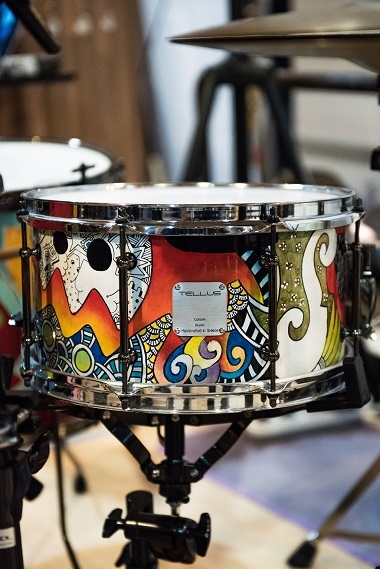 You can also choose your favorite wrap to apply to your kit or snare drum. 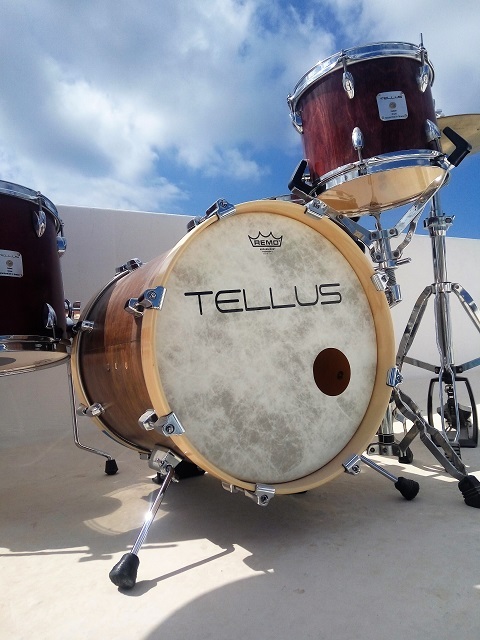 A big part of Tellus Drums activities involves restorations of vintage and used drums as well as services related to repairing and enhancing drums. 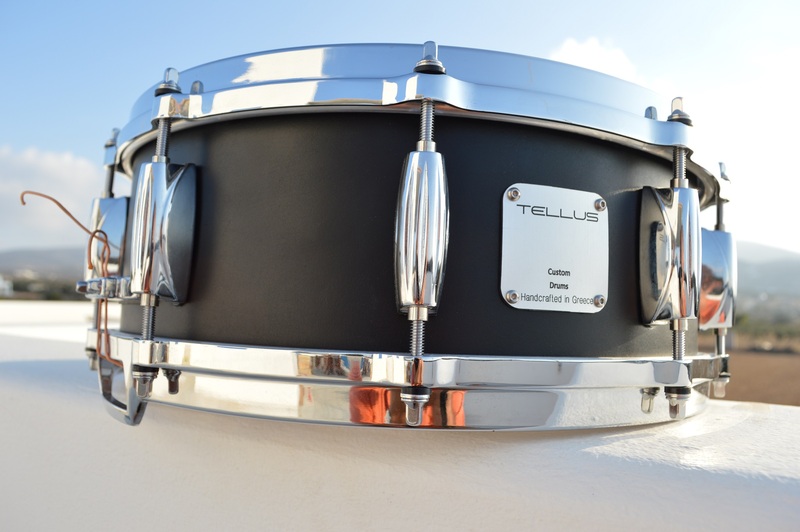 All types of brands and types of drums have passed through Tellus Drums facilities the last years involving restorations and repairs. © 2016. 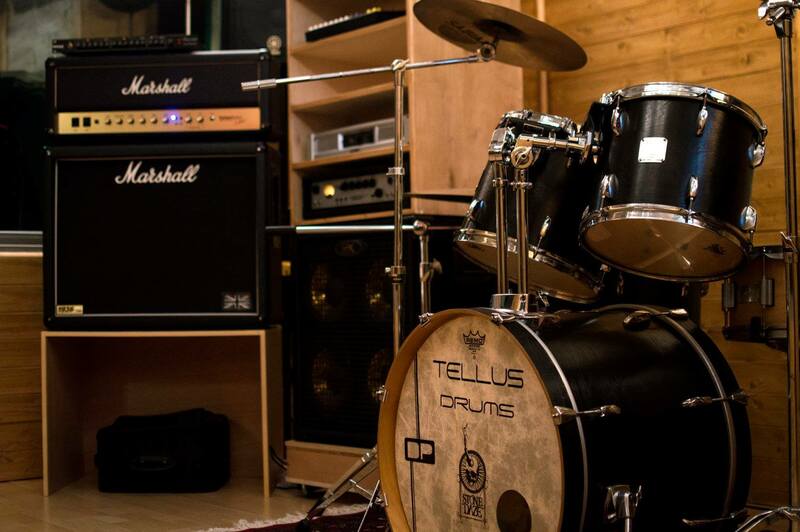 Tellus Drums. All Rights Reserved.